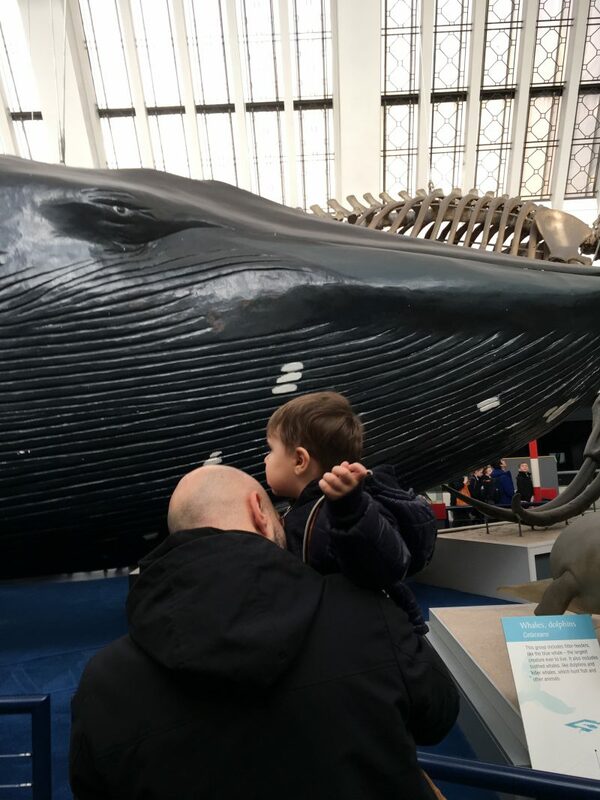 (POST UPDATED) As often happens in London during the rainy weekend, my safe port with children is the Natural History Museum. 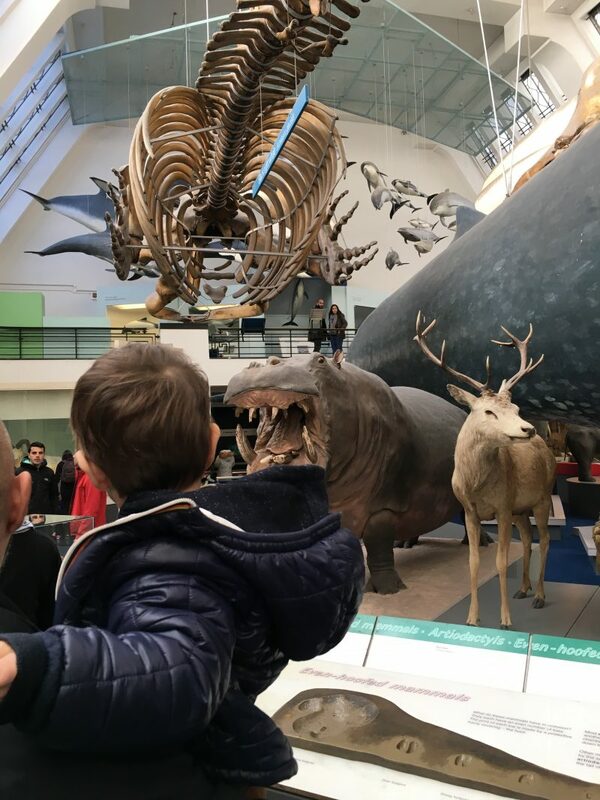 This is a huge museum very popular for toddlers and children, which covers zoology, paleontology, botany, entomology and mineralogy, with circa 80 million items (not all on display). So consider to spend here at least 3 hours; for a complete visit you will need circa 5 at least. 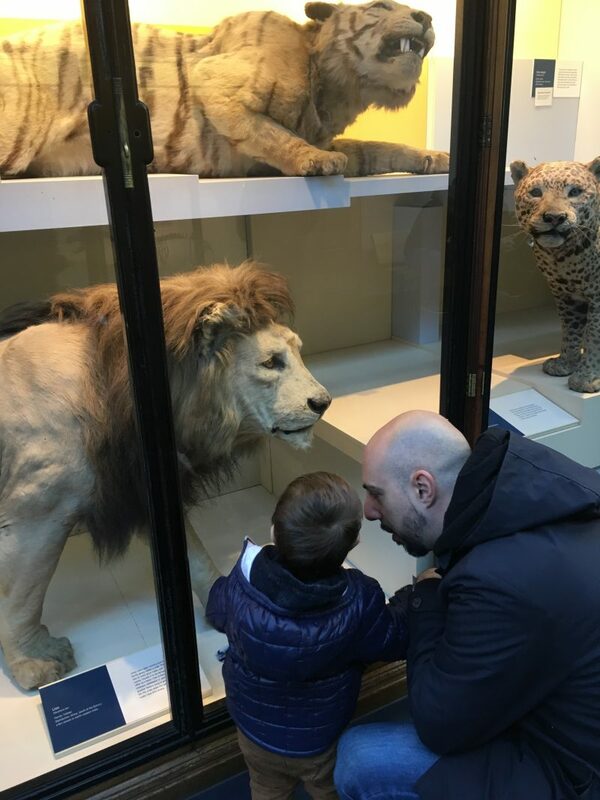 One of the first time we went to the Museum, my eldest was just one year old, and he loved it. 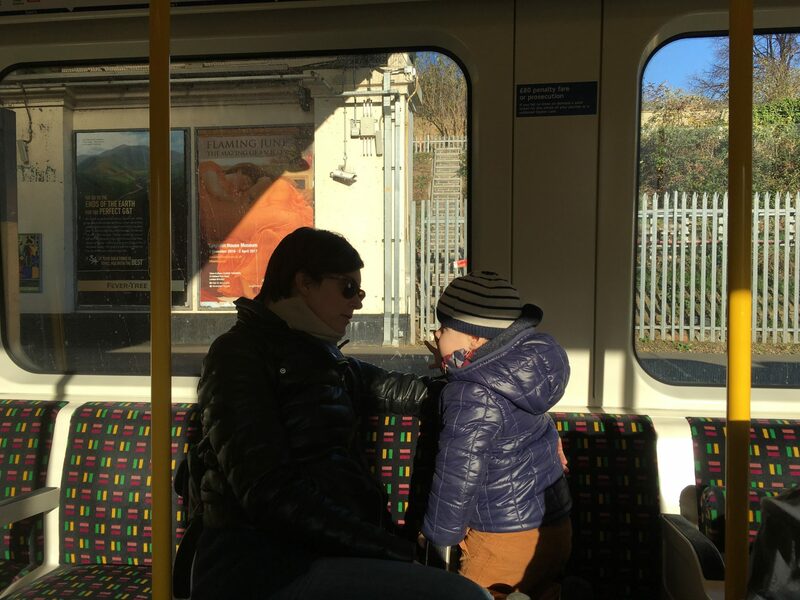 You can reach the Museum easily by the tube, that stops is South Kensington. 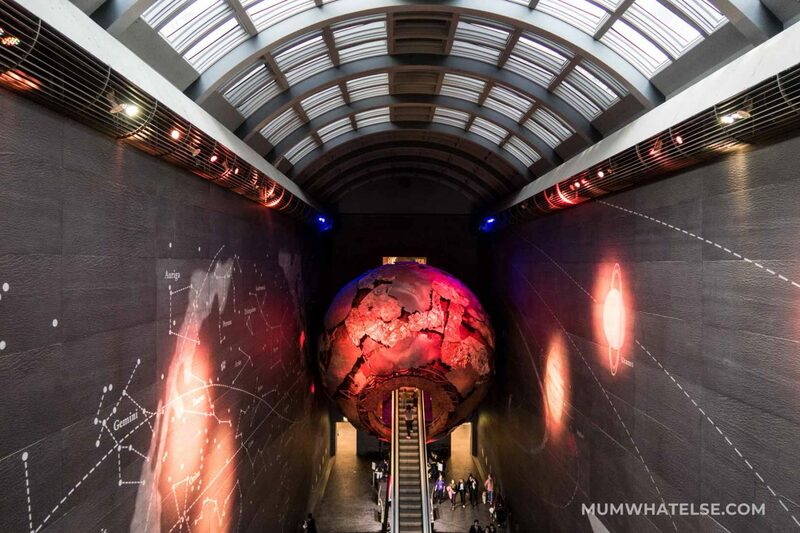 This is also called the area of the Museums, in fact here you will also find the Science Museum (you can read our review here) and the V&A Museum. 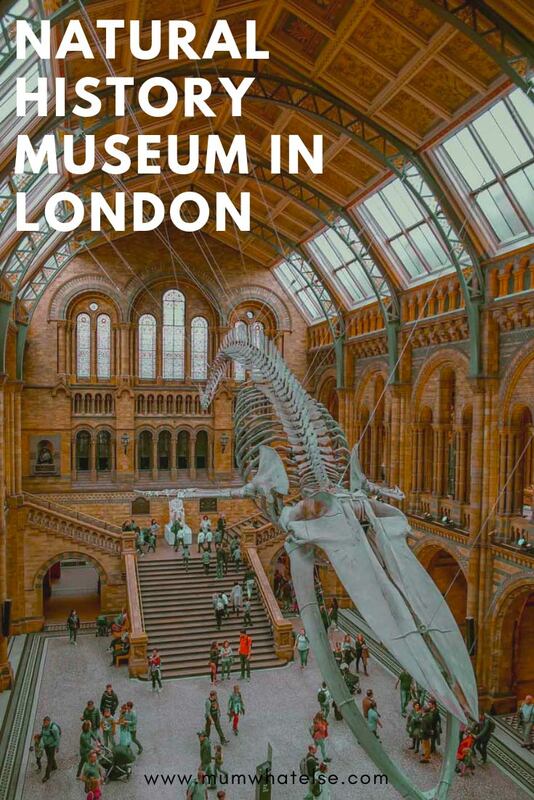 This Museum, which embodies all the best aspects of the Victorian philanthropic spirit, is a “must see” among London’s attractions. 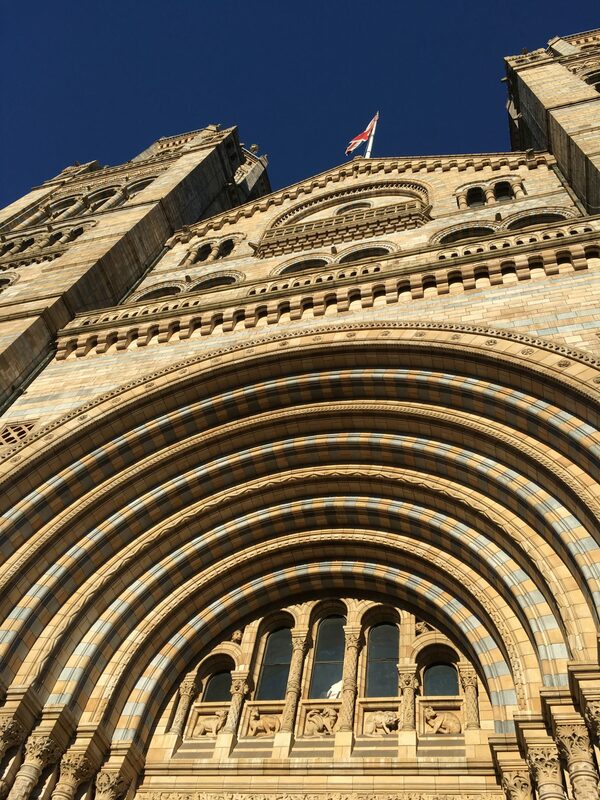 Right at the exit from the tube, you will find yourself in front of one of London’s most eye-catching buildings with its romanesque façade. 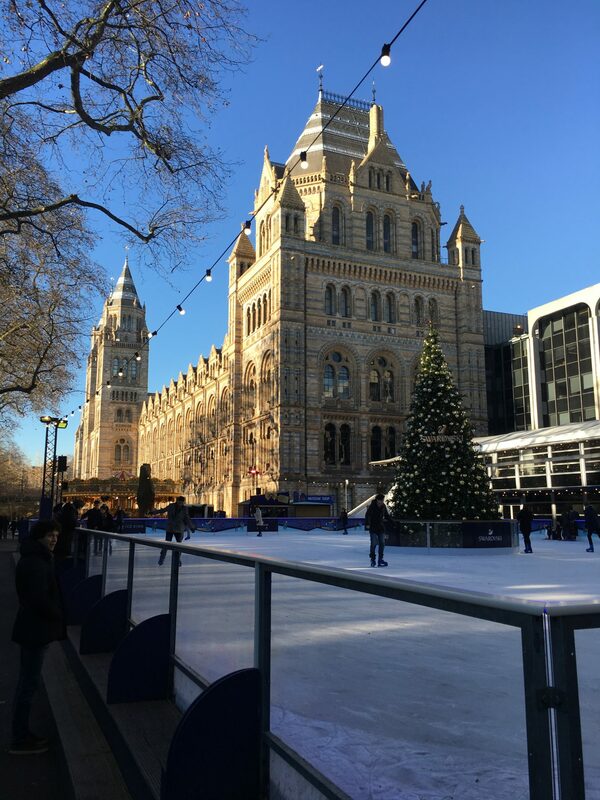 If you visit during the Christmas period, there will also be an ice rink in front of the Museum, which will immerse you in the perfect Christmas atmosphere. (from the end of October till the first week of January included). The museum opened its doors more than two hundred years ago, thanks to his patron Sir Hans Sloane, a passionate traveler who collected historical artifacts around the world and gave them to the city on his death. 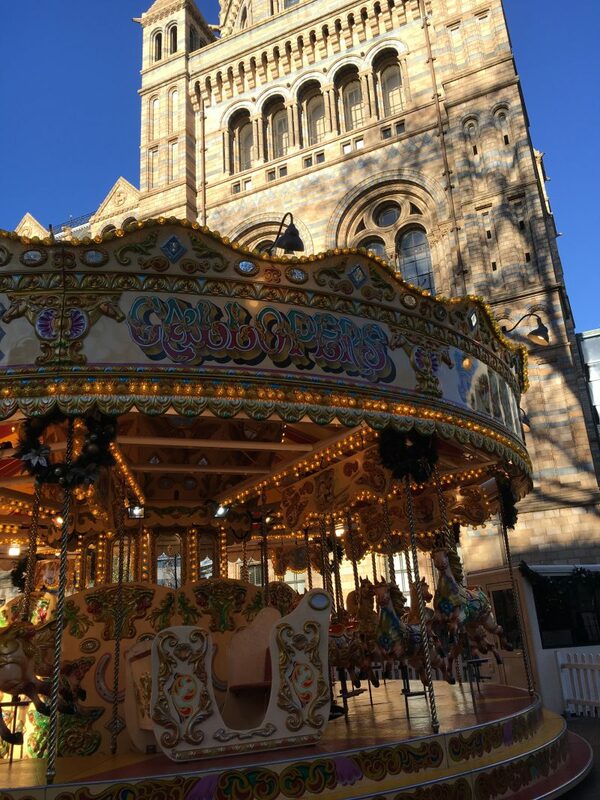 If you find a queue at the main entrance in Cromwell road, I suggest to go to the other entrance on Exhibition road which usually has a shorter line. 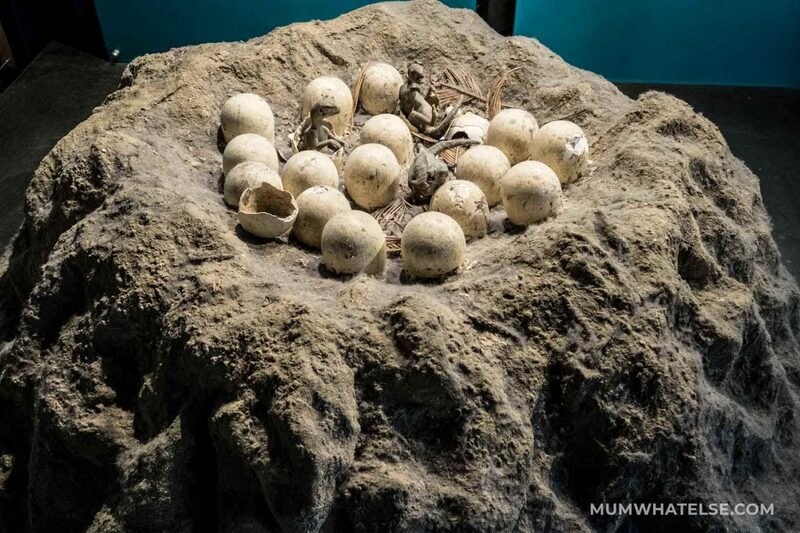 The Museum is divided into two parts: the Life Galleries, where you will find the areas dedicated to zoology, palaeontology and human biology, and the Earth Galleries, specialized in the history of the Earth, Geology and Mineral Resources. 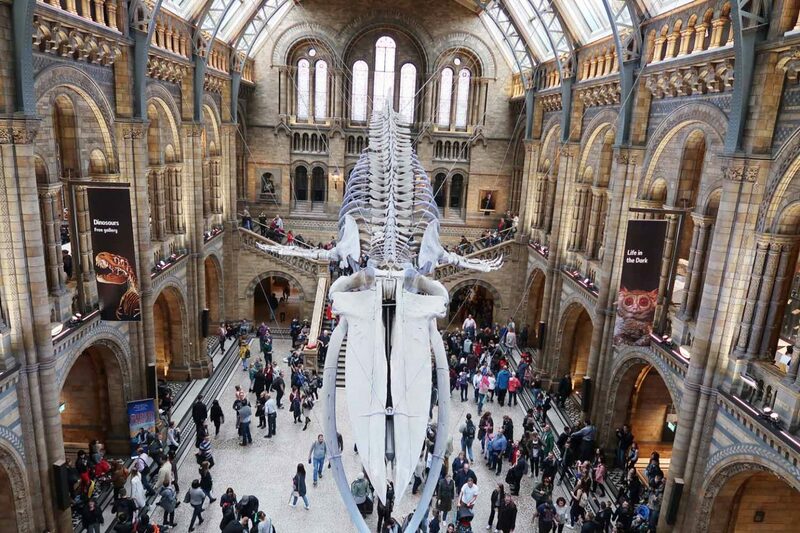 Since July 2017, the Diplodocus dinosaur skeleton known as “Dippy” has been replaced by a 126-year-old blue whale of 25 meter long named “Hope”. Hope for a more sustainable future. 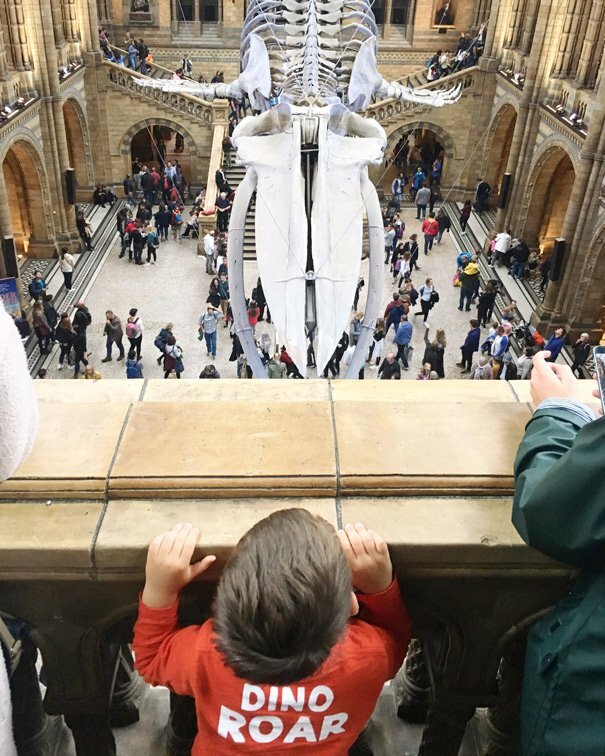 In the photo below it is “Dippy“, a copy created by a true skeleton of Diplodocus found in 1800 in Wyoming in the United States and which is now touring various cities in England. 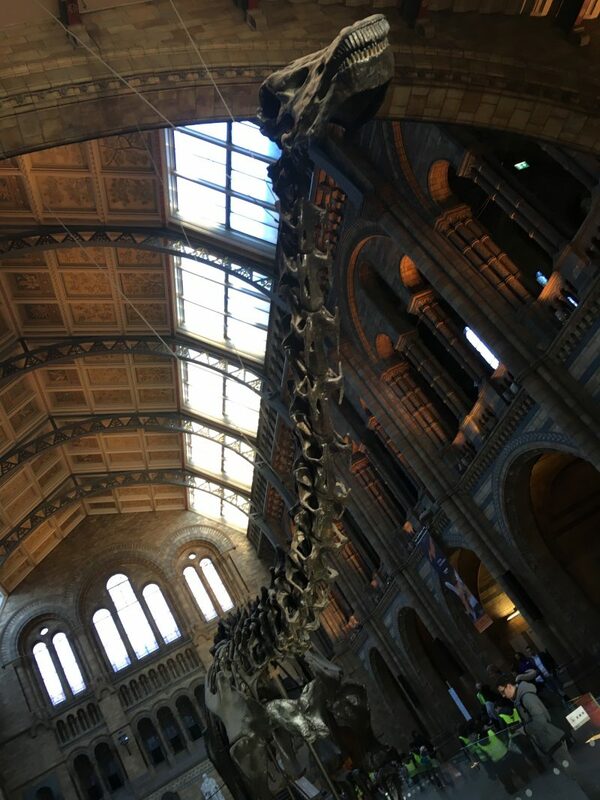 It’s curious to know that the museum opened more than two hundred years ago thanks to the offer of Sir Hans Sloane, a passionate traveler collecting natural history specimens. We started to visit the Blue Zone, where giants Dinosaur skelethons and a earthquake simulator greet us. I have to say, I was impressed more than Andrea, I got that creepy tingle down my spine when standing in front of them. Consider to spend here about an hour. Shortly after entering the dinosaur area, you will find a robotized T-Rex that moves and manages to impress me too. 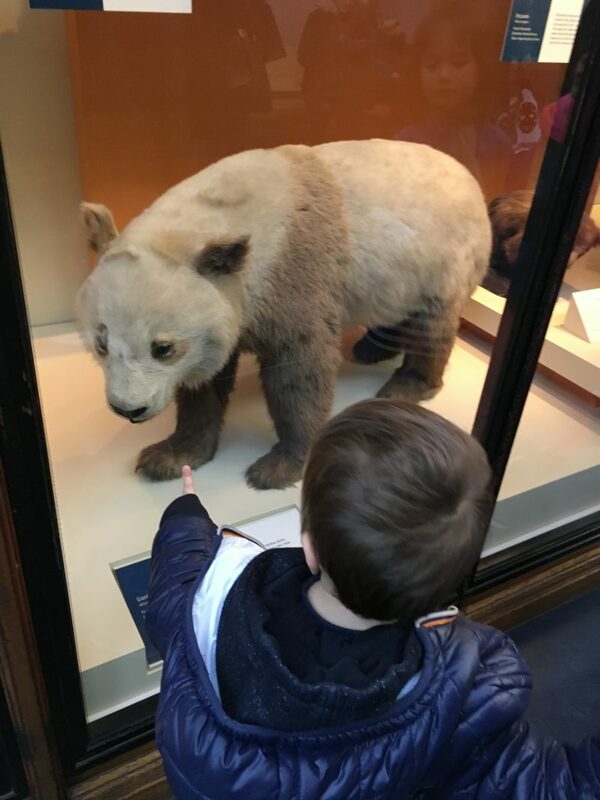 This museum is really perfect for kids and the curators know how to engage with a a little audience! 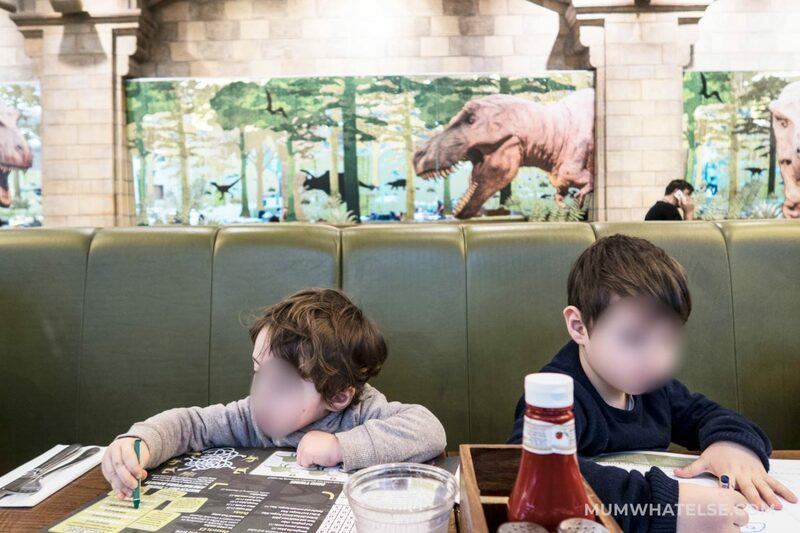 Just outside the dinosaur area there is a shop and a the Grill restaurant that offers menus for children and it’s very affordable. They make pizza, hamburger, fish and chips and the price is very fair. 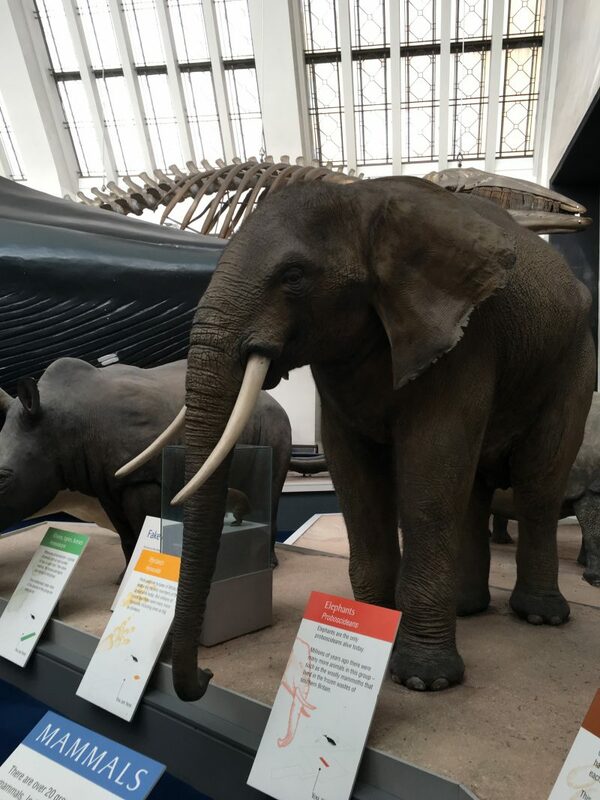 I recommend continuing with the green area of the museum, where you will find mammals, from lions to elephants to whales, to reptiles, amphibians and invertebrates. 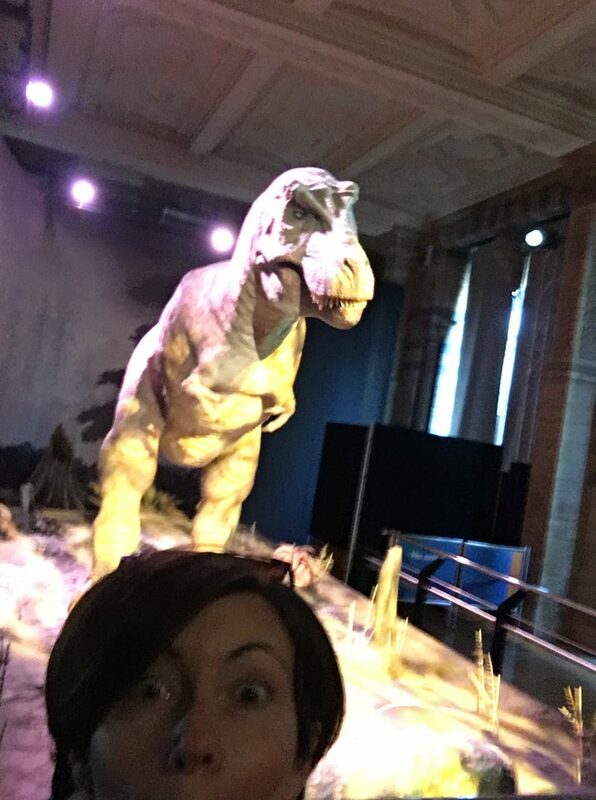 We were surprised to see not only dinosaurs (who are really impressive), but also learned a lot about earthquakes, mountains, rocks, how earth become Earth. My son loved interactive activities (spinning, shaking, pushing, etc). We didn’t visit the Human Biology zone, it was time for all to eat so we reach the coffee area inside the Museum. We found a good corner where I could breastfeed Leonardo. There is a Menu kids consists of a cheese sandwich (quite hard), apple and a muffin (for 5 £). 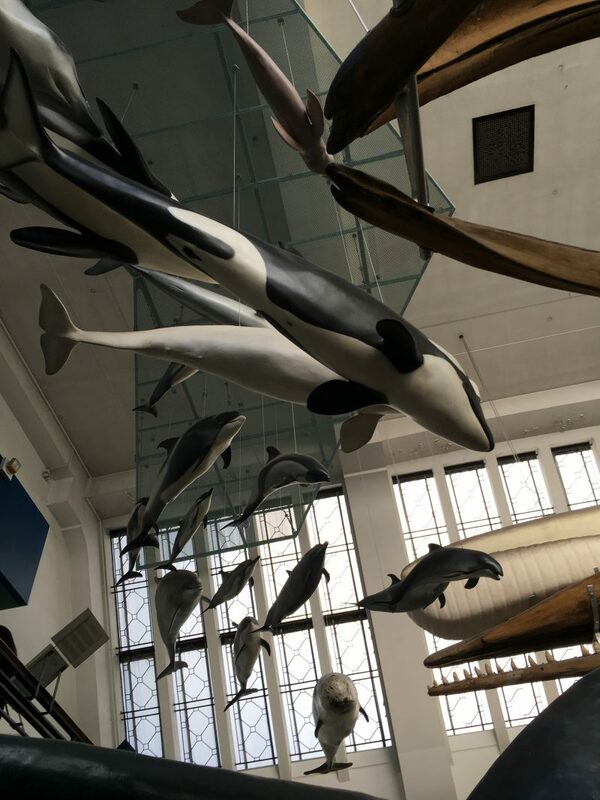 There were a lot of school groups visiting the Museum, as happened at the Science Museum this is common for schools in the UK and I think this is a great opportunity for children. 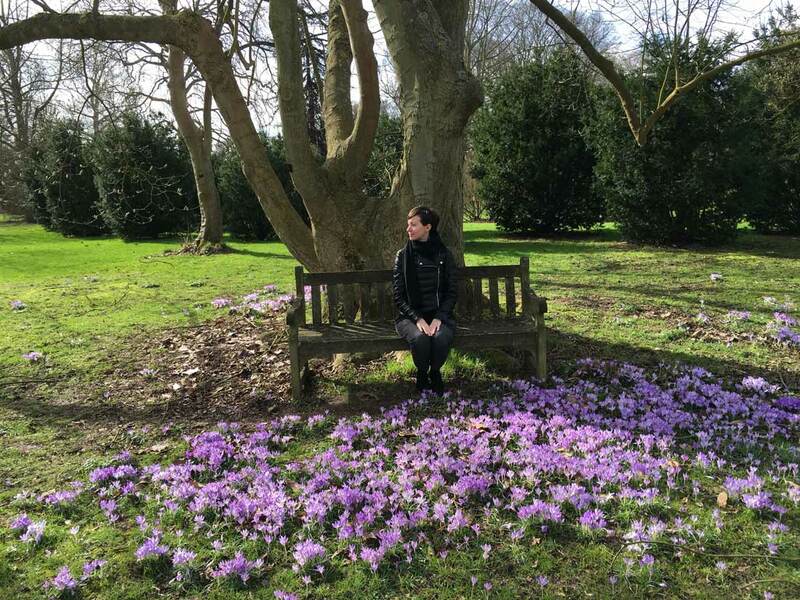 I cannot even remember when at school we were brought to visit a Museum… This museum has in the basement a specific picnic area for big groups, it’s really amazing the attention that this country gives to new generations. This area is dedicated to the evolution of the Earth. Even if you are not passionate about science, you will be interested in this area also thanks to the escalator that takes visitors to the center of the Earth. There are many activities dedicated to children, such as panels to create volcanoes and the simulation of a strong magnitude earthquake. While the little ones were sleeping, we continued our visit to the Darwin Museum area, which you can access by a panoramic lift. 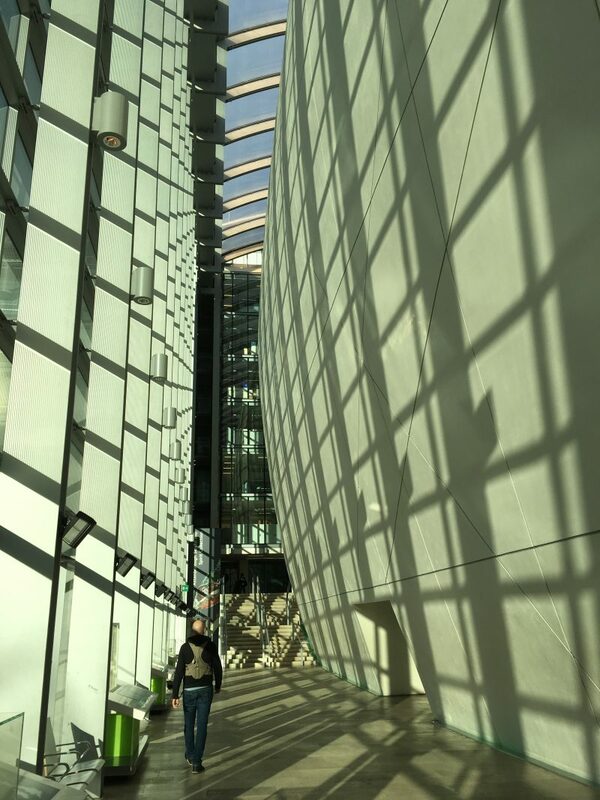 This area houses 17 million insects and 3 million plants spread over eight floors. You can also visit it with a multimedia tour that lasts less than an hour. At the end we did a quick visit to the Darwin section and then we left the Museum. Outside we went a bit around to see the twinkling Christmas lights and then we went back home, fully immersed in a Christmas feeling. 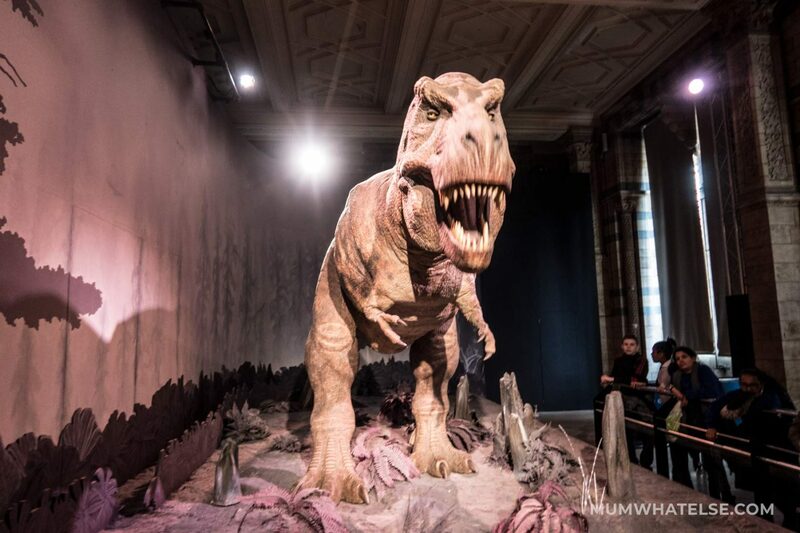 The 2010 BBC TV documentary series, The Museum of Life, is a behind the scenes of the NHM, it would be great to watch before you go if you can. Morning is the best time to start the visit as it is usually the quietest of the day. 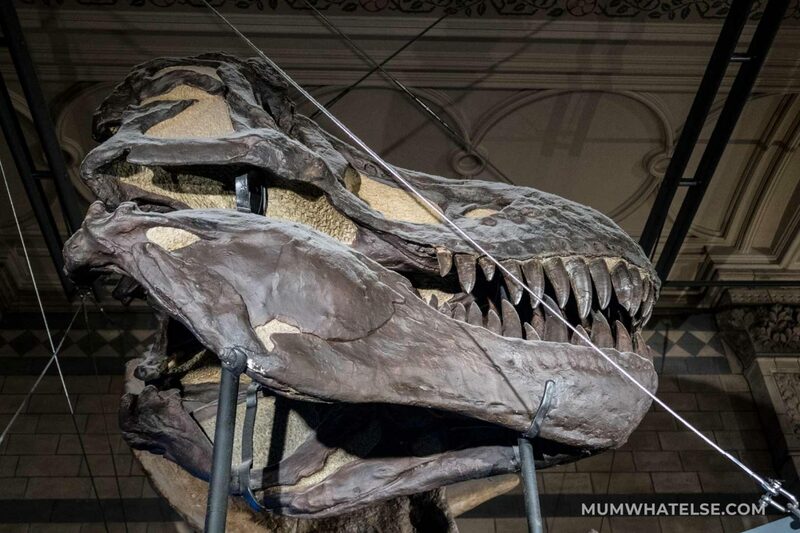 The museum opens at 10 am. 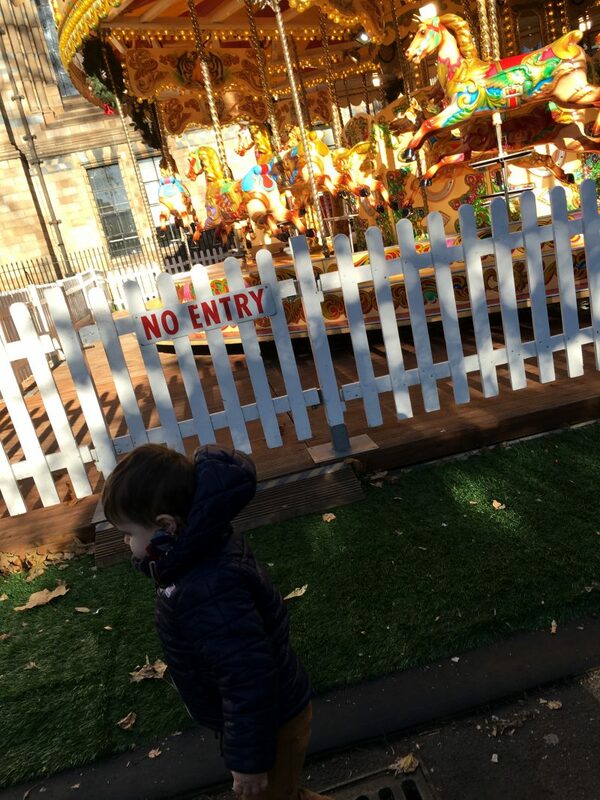 Start the visit from the dinosaurs and then Follow the colors. Check out the the map online before the visit. 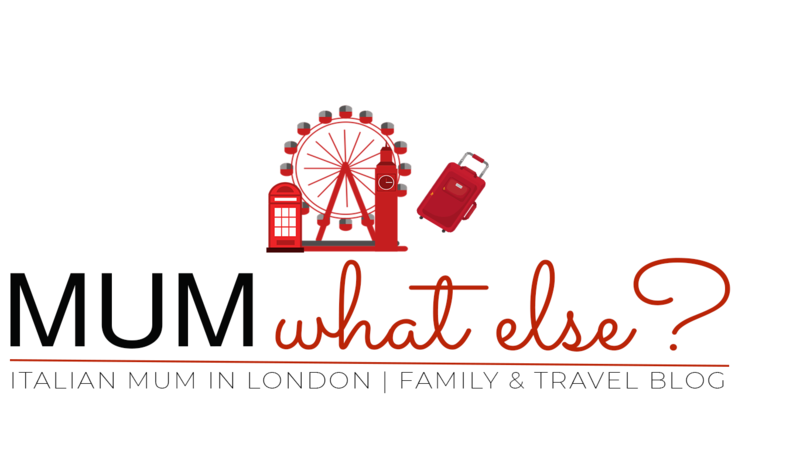 Check out the families section where you can find updated news and also find out if there are some free activities for children. 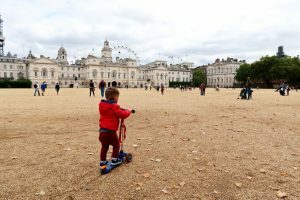 If your toddler needs a break, you can go outside, in the Wildlife Garden; access through the Darwin Centre in the Orange Zone. If you still have time, there is the Investigate Centre, designed especially for families with children aged 5-14. Investigate has over 300 specimens to explore from meteorites to shells, with a microscope to see more detail. The Museum’s spaces can be hired as a sublime backdrop for a romantic wedding or memorable private party at any time of year. Thanks! 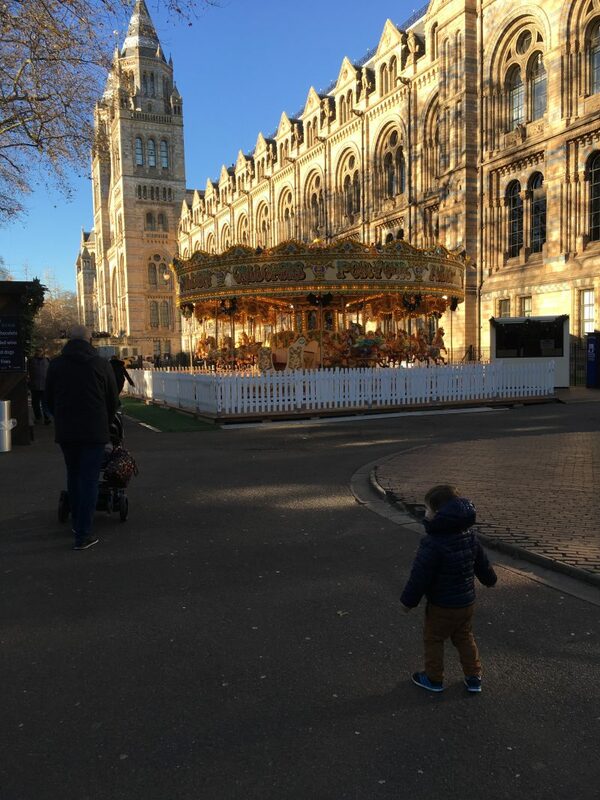 It was the first time for me and I found it beautiful, a jewel for London and for kids! I think adults can appreciate it most! I have never been to a sleepover there, I have to try it!